Hi all! Sorry I’ve been MIA- I’ve just been kind of giving my nails a break lately and only changing out my mani every 3 or 4 days (which isn’t much for me.) 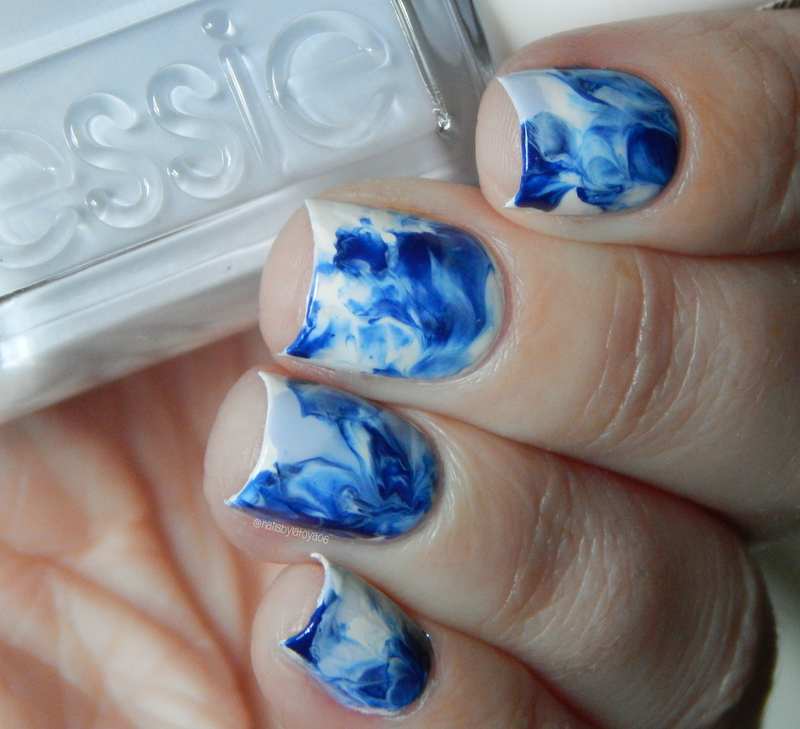 About a week ago I wanted to try out marble nail art. I dug out about 3 polishes that I thought would work together and it was a success! I used Essie Loot the Booty, Coconut Cove, and Virgin Snow for this look. Check out the pics below!!! Someone actually commented on MUA (Makeup Alley) that it reminded them of smoke! It kind of does look like smoke doesn’t it? I also wanted to make mention that I do have a Youtube channel! I upload videos on there pretty frequently (mainly my IG videos) and sometimes swatch videos. It would mean the world if you all would subscribe on there! It seems like it’s so hard to get a following on Youtube… Maybe there are just a ton of polish channels out there and the competition is steep. Anywho, Thank you all so much for reading today and I’ll talk to you all soon! Oh, and PS check out my latest Youtube video down below!!! 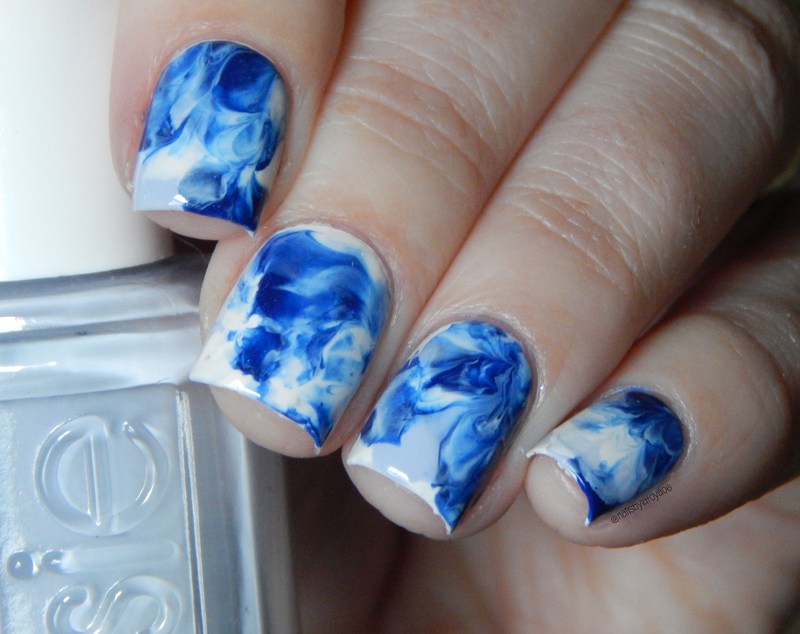 This entry was posted in Beauty, Nail Art and tagged beauty, howto, makeup, nailart, style, tutorial, youtube. Bookmark the permalink.